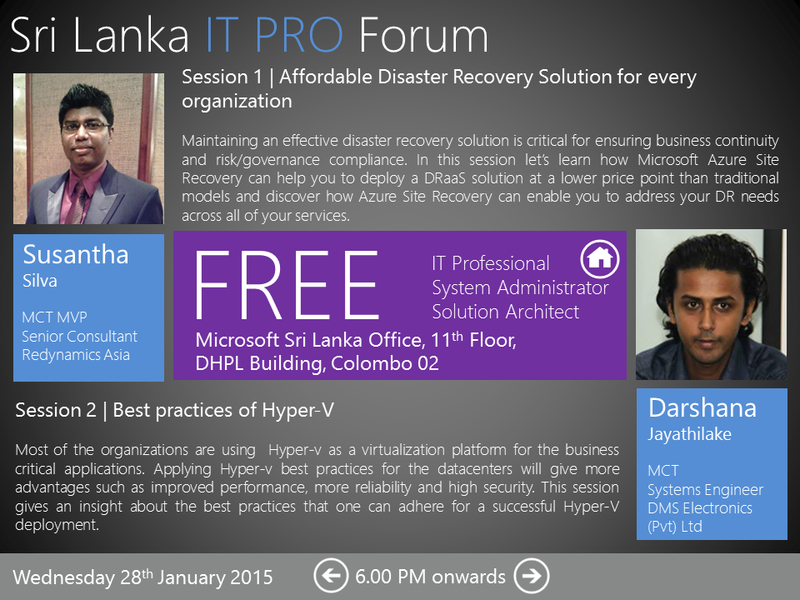 Last month I had the opportunity to present above topic during local ITPro community event. With the recent announcement if Azure Site Recovery enhancement it is very clear Disaster Recovery is no longer only Enterprise level only solution. Now this is available even for SMB customers with very low price tag. Some of the key questions are raised on multi hypervisor support. It is no surprise Microsoft has not left those customers alone. With the acquisition of Image Scout solution we now can offer DR solution for VMware, Citrix & Physical servers as well. Very soon Microsoft will focus on providing VMware to Azure site recovery solutions as well.